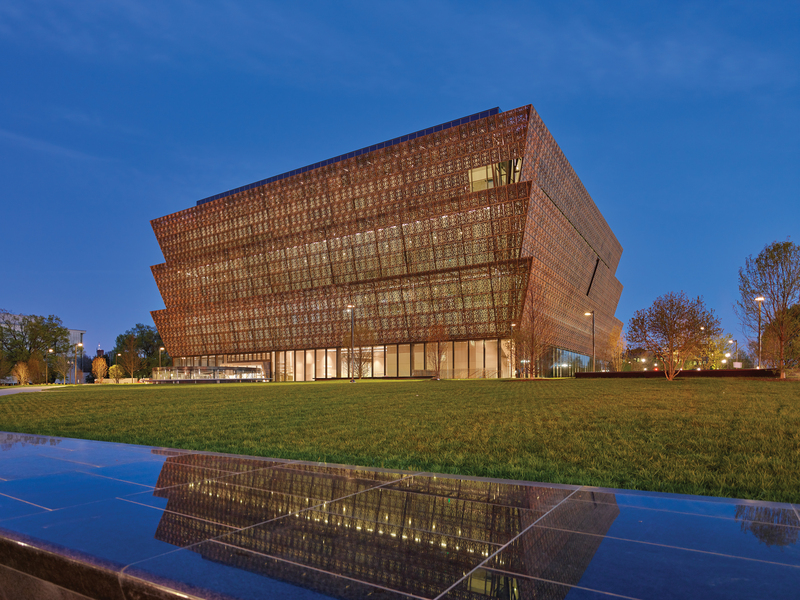 On Saturday the new Smithsonian National Museum of African American History and Culture (NMAAHC) will officially open to the public. Billed as “100 Years in the Making,” it’s a long-awaited addition to the Smithsonian family of museums in Washington, D.C., and is located in an absolutely gorgeous new environmentally green building on the National Mall. 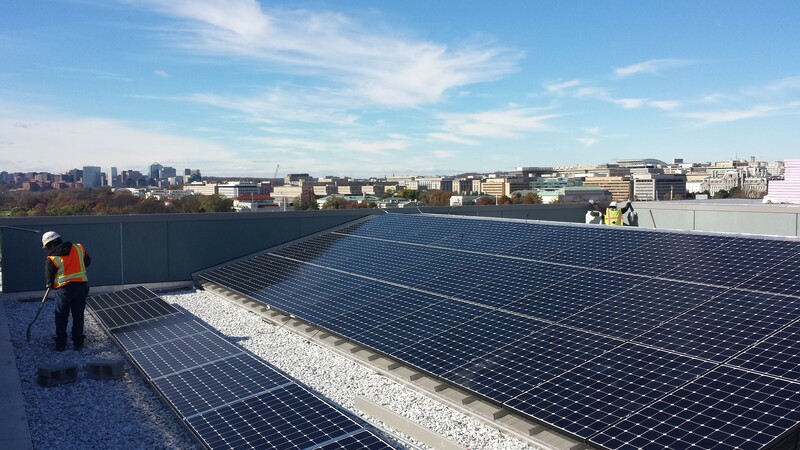 We are proud that The Smithsonian chose SunPower® technology and SunPower installer Solar Solution for the new museum’s energy needs in a competitive bidding process. The beautiful and unique building will be Leadership in Energy and Environmental Design (LEED®) Gold certified, which means that it meets a variety of green goals in its design and execution, including the use of solar energy. The rooftop boasts a nearly 100 kilowatt solar array that is expected to produce more than 136,000 kilowatt hours of energy annually. The 301 SunPower panels will meet a significant portion of the museum’s energy needs while lowering its electric bills. Solar power and other green building initiatives that are part of this forward-thinking facility demonstrate to all Americans how a clean energy future is possible. Solar is becoming the primary energy choice of more government and nonprofit institutions, which are motivated by a desire to save taxpayers money at the national, state and local levels and to free up dollars for needed services or to create educational programming. In fact, not far away from the new museum is the U.S. Department of Energy, which went solar with SunPower in 2008. Museums and public entities are often eligible for renewable energy and sustainability-focused grants and public funding options that enable them to explore some of the most forward-thinking green building options available. For example, the LEED Double Platinum certified California Academy of Sciences in San Francisco features a soil- and vegetation-covered living roof surrounded by 60,000 SunPower solar cells that supply almost 213,000 kilowatts of energy per year. And the Children’s Discovery Museum of San Jose in California united four local partners on a mission to save energy, educate youths and rebuild lives by having the San Jose Conservation Corps Youth help install its solar panels. It’s an inspirational vision and mission that’s reflected in the building itself, a model for sustainability and environmental stewardship.